Here we are….in the last month of a 9 Universal Year….a year that was the ending of a cycle for humanity and the planet….a year that was full of confusion and redirection….a year that was a focus on the Divine Feminine vibration of allowing and going with the flow of the Higher Vibrational Energies of Source God/All That Is, in the unfolding of the Divine Plan for us all….a time of faith and trust that we are exactly where we need to be as we move forward soon into a new year, a new energy, and a new beginning towards the next step on our Paths. But first, we must move through one more month of this conclusion cycle. The month of December has a 21/3 Universal Month Numerology Vibration. The number 3 is all about words, ideas, and communications….learning, teaching, speaking and writing is the focus of this energy. The number 3 is also about expansion and “creation” energies….what you visualize and expand with your mind, you will create. 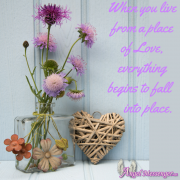 Hence, if you focus on positive, uplifting, prosperous and abundant thoughts you will create this for yourself….conversely, if your mind wanders to energies of negativity, chaos, fear, and despair, then you quite possibly will manifest situations that are more unpleasant. The number three is about paying attention to our thoughts and beliefs about ourselves and our lives and making sure that those thoughts and beliefs are of the utmost positive nature. 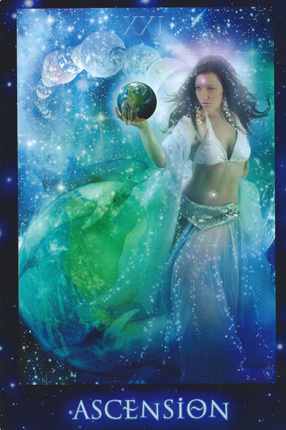 The 21st Major Arcana of the Tarot is The World! This is the last Major Arcana in the tarot and very fitting since we are in the last month of a Universal 9 Year of energy. The planetary ruler of The World card is Saturn, Teacher of Lessons. Have we successfully learned all that we, as human beings, were to learn in this collective planetary cycle? I hope so as we are all getting ready to enter a cycle of new beginnings in 2017. The essence of this card usually relates to our career path, our Destiny Path, and the transition from an old cycle (one where we have done healing to become “Whole” again) into one of new opportunities to express ourselves in the outer world. It is a time to expand ourselves into our inner confidence and our inner truth! The first astrological energy of significance for the month is Chiron, the Wounded Healer, turning back to direct motion on December 1st. Of course, we would have been feeling the effects of this throughout November as he started to slow down his movement in retrograde motion. Chiron is where our greatest wound lies….it is very psychological, very spiritual, and very karmic….this wound comes from many past lives of accumulated karmic patterns and energies….the wound can be physical, emotional, mental, spiritual, or a combination of any or all of these. 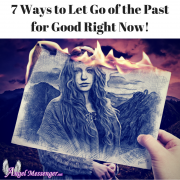 While Chiron was retrograde (since June 27th 2016), we were doing a lot of internal, subconscious healing work that involved purging and transmutation of whatever area of your personal astrological chart he was traversing. This whole Chiron cycle actually started in April 2015 when Chiron entered the 20th degree of Pisces, and on the 1st of this month (December), he turns back to direct motion at 20 degrees Pisces. It will be March of 2017 before he passes the 25th degree which is where he went retrograde in June…..Once Chiron starts to move forward, the healing energy can then be projected outward in the world again and will not be quite as personal and internal. On December 2nd, Mercury, planet of the mental realm, shifts into Earth sign Capricorn where he will be for quite some time. He will retrograde in this sign mid-month, turn direct in January, and stay in Capricorn until February 7th 2017! This is very supportive for focusing on career related ideas and projects, and for practical, productive communication with others. Then on December 7th we have another planet changing signs….this time it is lovely Venus moving into logical Aquarius, where she will be until January 3rd, 2017. Venus rules love, relationships, money, finances and the Divine Feminine Energy. While she is in the Air sign of Aquarius she will be more independent, objective, freedom-oriented, and focused on humanitarian ideals. Suffice it to say, relationships of a personal nature may “take a back seat” to those relationships that are focused on the group or “the whole” of humanity. She will have a more “matter of fact” approach to money matters as well and will aim towards the unusual or out of the ordinary as far as ways to produce income. This brings us to the Full Moon at 22 degrees Gemini on December 13th. Although all Full Moons bring in an intensity of energies, this one is aspected rather well. It creates a positive connection to Jupiter, the planet of expansion and blessings, in Libra….opposes Saturn, the planet of manifestation and 3rd dimensional reality, in Sagittarius….and forms a positive sextile connection to Uranus, ruler of surprises and Higher Dimensional energies, in Aries. The sextile is considered an aspect of opportunity….one in which you have to take some sort of “action” to make something beneficial happen. Considering the other planetary connections, I feel that with our positive energies focused in the right way, we can truly create something abundant and prosperous for ourselves! December 19th is a big day! First, fire planet Mars, ruler of energy and action, is shifting into the watery and spiritual realm of Pisces until January 28th….not his favorite place to be as Fire and Water typically do not mix well. However, this can be the sign of the Spiritual Warrior….one who takes steps through imagination and visualization, and who moves forward in his/her evolution and growth on the spiritual levels! The second important energy happening on the 19th is Mercury shifting into retrograde motion at 15 degrees of Capricorn. Of course, we will start to feel the effects of this as Mercury enters his “shadow period” on December 2nd. This retrograde will focus its energies on situations and circumstances related to our career and Life Path. It is a time to review, reorganize, re-evaluate, and redo. As usual, it is not advised to sign any important papers or contracts, or to launch anything new in the career until after Mercury has moved back to direct motion. The month comes to a close with some very interesting energies. During this whole month, Uranus has been slowing down his retrograde motion and comes to his station point at 20 degrees and 33 minutes of Aries as of December 29th. The intensification of Uranus energies will be felt by all! Uranus is the planet that rules the God-Mind and Higher Vibrational Energies…..he rules shocking and unexpected events, surprises, storms, electricity, astrology, science, new discoveries, the progressive movement, the Higher Dimensions, and the new paradigm of reality. As Uranus slows down to his station point we may experience disrupted sleep patterns, unexpected circumstances, unusual weather patterns, and intensified symptoms of evolution and ascension. On December 26th Jupiter opposes Uranus which can bring an expansion effect to some of the Uranian energies which will play out with others on a personal and global level. Also during this time we have Mars, the planet of energy and action, connecting with the South Node and Neptune in Pisces from December 26th – January 1st, 2017. This may bring about some strange spiritual energies because the South Node rules the past and past lives, and Neptune is the planet of illusion and deception…..although Neptune is also about the spiritual realm, compassion and Unconditional Love so it is anybody’s guess as to what this will bring. And, along with all just mentioned, we also end the month with a New Moon at 8 degrees Capricorn on December 29th! This New Moon is conjunct Mercury Retrograde in Capricorn and sextiles Mars, South Node, and Neptune in Pisces. On its own, the New Moon may not seem that powerful, but when combined with all else that is happening it should be quite a show! I believe that we will not see and understand the full effects of all of this until we move into the new year of 2017. So, we end the last month of a 9 Universal Year of endings, with a New Moon and a cycle of new beginnings……this will usher us into a New Year that is a Universal 1 Year of a new direction for us all! 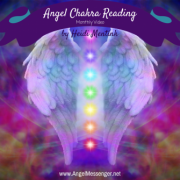 Please be sure to watch the Monthly Angel Card Reading Video for December 2016 below and watch my weekly readings on my YouTube channel, Angel Messenger website, or on my Face Book page under “Colleen Lemma” to hear what messages our angels and guides share with us for the upcoming month! The cards used for the main message in this reading are the Sirian Star Seed Tarot by Patricia Cori and Alysa Bartha. For the special messages, Rev. 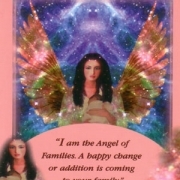 Colleen uses Doreen Virtue’s Angels Tarot Deck. 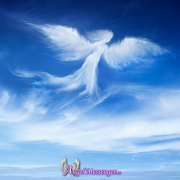 Realising How Caught Up In the Struggle We Are Want To Know How I Simply Met My Wonderful Guardian Angel?